The growing popularity of SRI coincides with an explosion in the number of exchange-traded funds and mutual funds that make it relatively easy for investors to support their beliefs within a diversified portfolio. Such funds eliminate the legwork of identifying individual stocks that match specific criteria around social, environmental or corporate governance issues. To meet growing demand among consumers for SRI options, online brokers and robo-advisors are expanding choices in this area. Here are NerdWallet’s picks for the best online brokers and robo-advisors for socially responsible investors. These brokers provide a broad range of ETF and mutual fund offerings for socially responsible investors, along with tools and features that will benefit all types of investors. Once again, Charles Schwab and E-Trade top the list for the best online brokers for socially responsible investors. What makes them stand out from the crowd? Selection and low costs. Both brokers have roughly comparable SRI offerings (each has more than 80 such ETFs and 350-plus mutual funds), many of which are either commission-free or no-load. More generally, Schwab and E-Trade are solid brokers, with features that appeal to investors of all stripes: a variety of retirement-planning tools, robust trading platforms, mobile apps and a wealth of educational information. For socially conscious investors, top-notch research offerings are especially valuable to evaluate how funds align with goals. Both E-Trade and Schwab put SRI front and center in their screening tools for mutual funds and ETFs. You won’t have to hunt this information down with either broker. Finally, it’s tough to top the low-cost model available at Charles Schwab — including trading fees, expenses, the growing number of commission-free options and $0 account minimum. E-Trade boasts features — including its three trading platforms and research offerings — that appeal to more frequent traders. Many of the other brokers among NerdWallet’s top-ranked brokers for other criteria — TD Ameritrade, Merrill Edge and Vanguard — also have solid investment options for socially conscious investors. They just don’t offer the breadth of choices that Charles Schwab or E-Trade do. These online advisors provide portfolios for specific SRI strategies, offering diversification, but with lower associated costs and a hands-off approach. Want to eliminate the hassle of evaluating ETFs or mutual funds to find those that best align with your beliefs? Robo-advisors may be a good fit. Robo-advisors primarily use ETFs to offer a low-cost, hands-off investing approach — and SRI strategies are increasingly common with these providers. Robo-advisors are beefing up their SRI-focused offerings, including Wealthfront and Betterment, NerdWallet’s top picks overall for best robo-advisors. That’s all good news for customers, but you’ll want to evaluate the trade-off between fees charged and value provided. Wealthsimple delivers the essentials of any good robo-advisor — clear and simple pricing, a beginner-friendly experience, low account minimums and unfettered access to certified financial planners — while offering robust SRI options. The company’s portfolios draw from six ETFs that focus on issues ranging from the environment to gender diversity and go beyond equities to include bonds. It also offers a halal investing portfolio, which contains roughly 50 individual stocks that are screened by a third-party committee for compliance with Islamic law. While Wealthsimple is generally a low-cost advisor, management fees for SRI offerings are higher than average (a phenomenon that’s not specific to Wealthsimple alone). The weighted average expense ratios on SRI portfolios run about 0.25%, versus 0.09% to 0.12% for Wealthsimple’s non-SRI portfolios. TD Ameritrade Essential Portfolios manages to up the ante with one of the broadest SRI lineups among robo-advisors, without sacrificing much on cost. The provider offers Socially Aware portfolios, made up of eight ETFs, with the exact investment mix in each reflecting the customer’s risk tolerance. Investments are selected based on “ESG” principles, ETFs comprising companies that score high on environmental, social and governance factors. The weighted average expense ratios on these portfolios are higher than the core portfolio expenses — 0.11% to 0.18%, versus 0.07% to 0.08% — though still competitive by industry standards. Customers also will get all the benefits of TD Ameritrade’s other strengths, including Morningstar-built portfolios, free tax-loss harvesting and a long list of available account types. But be aware there’s a relatively high account minimum of $5,000. These picks combine some of the do-it-yourself portfolio-building approach offered by the online brokers with the ability to customize selections. Online brokers are the clear choice for do-it-yourselfers who want access to mutual funds, while robo-advisors appeal to the set-it-and-forget-it crowd content with ETF-built portfolios. Luckily, you have options if you fall somewhere outside those options. It’s possible to find a mix of the hands-off approach inherent to robo-advisors with the screening mechanisms to identify or remove specific investments. Motif Investing’s hybrid model — part broker, part portfolio manager and part idea-generation tool — is a good fit for many socially responsible investors. 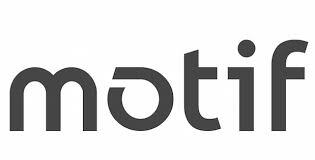 Motif Impact Portfolios are fully automated, with three themed portfolios: sustainable planet, fair labor and good corporate governance. These offerings all carry a low-cost, simple 0.25% annual management fee with direct stock ownership and the ability to customize the portfolios. (Impact Portfolios require a minimum $1,000 to start investing.) But the options don’t end there. Motif’s namesake feature — “motifs,” or themed collections of up to 30 stocks or ETFs — also is ideal for SRI-minded folks. You’ll have the option to screen for specific characteristics or filter out others, with all-in trading costs ranging from $0 to $19.95, depending on whether you create your own motif or choose from a professional one. The depth here is impressive; socially responsible investing is a core tenet for Motif Investing. 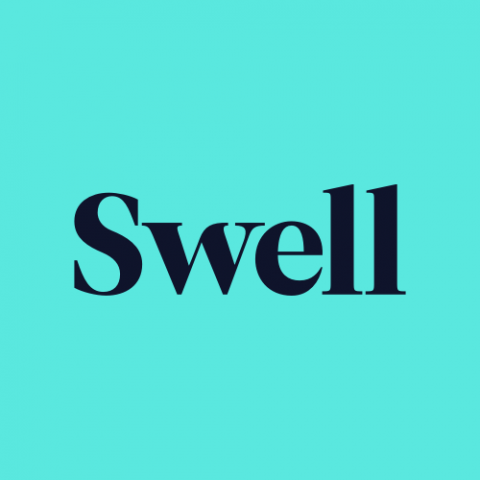 Swell Investing is another standout because it focuses solely on socially responsible investing, and it goes against the grain by constructing portfolios entirely of stocks rather than ETFs, which are favored by most robo-advisors. Swell keeps it pretty simple. It offers six themed portfolios — green tech, clean water, zero waste, renewable energy, disease eradication and healthy living — each containing roughly 40 to 70 individual stocks. Or, customers can invest in Swell’s S&P 500-like option, called the Impact 400 portfolio. No matter what combination customers choose, they can swap out up to three stocks they don’t like. There are some downsides, including an all-in fee of 0.75% that’s comparatively high, no access to human advisors and limited educational tools. Other niche platforms specifically catering to socially responsible investors also bear mention, including Earthfolio, OpenInvest and Hedgeable. Here’s a rule of thumb: Online brokers wanting to appeal to socially responsible investors will make sure SRI options are easy to find. Several of the major brokerages have a robust lineup of ETFs and mutual funds earmarked as SRI (or sometimes labeled “socially conscious”), along with tools to identify these investments. If you have a specific ETF or mutual fund in mind and are looking to narrow your options, check availability (and related fees) with the various brokers. With a variety of options at your disposal, be sure to consider other factors specific to your goals — are you a beginner, a day trader, a retirement saver in need of an IRA rollover? Consult our comprehensive list of the best online brokers for general investors or use NerdWallet’s free brokerage comparison tool. Selection. A broker with a large array of options may be appealing if you seek variety, but if you have a specific fund or strategy in mind, a more limited selection may suffice. Management costs. Not all ETFs and mutual funds are created the same, and associated management costs (expense ratios) can also vary widely when it comes to socially responsible options. Similarly, SRI portfolios at robo-advisors may carry higher fees than other offerings. Diversification. As with any investing strategy, it’s important to remember the benefits of diversification (namely, reducing risk) and to include a range of assets that cut across various industries, company sizes and geographic areas when selecting investments that align with your beliefs. Unsure how to approach SRI, or investing in general? See NerdWallet’s guide on how to invest money.